Activating GPRS and MMS for Globe subscribers are vital if they do not want to miss out on many apps and features dedicated for Globe users. Without the advanced settings in your smartphones you would not be able to surf the net, like a post on Facebook, use Twitter to be uptodate with your fave celebs and change your status on your FB wall. Globe had recently announced last Friday that they would bring back FREE FB for their subscribers and to be able to join in the fun, you would have to follow the simple and very easy steps to activate your MMS and GPRS. 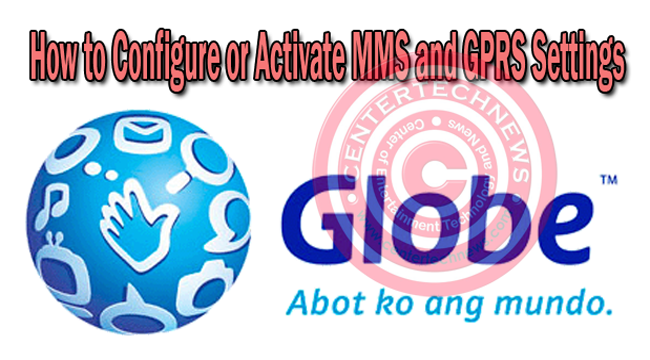 To activate your GPRS and MMS on your phone, Globe must know the exact model of you handset. You would usually see this at the back of your phone when you take out your battery and on its box. Type the brand of your phone ( for example: Samsung, Nokia, Ericsson) and then send it to 2365. To easily get the setting for your phone, type Go (space) your handset model, and then send it to 2951. If your are not sure if your phone is compatible for this set up refer to (A). Save the settings as the default settings on your smartphone. For Nokia 6600, 6220, and 6820, you must send GO (handset model),,1234 then send to 2951. Be sure to type 2 commas before the 1234 PIN. Enter 1234 when you are asked for a PIN to save the settings. Send an MMS message to activate the service. An MMS message is charged with Php5.00. Regular charges for text messaging will apply so be sure to have a balance higher than zero. When accessing the GPRS and MMS, be sure to have at least 5 pesos to enjoy the service and keep posted for more updates on Globe’s services for you to enjoy more your handsets.